A drop shot is an excellent and amazing weapon to utilize when you are playing your favorite game of tennis. 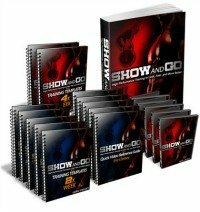 This superb tennis tool is especially effective against an opponent that tire easily, who can’t run forward well, or are not that comfortable at the net, as it is simply devastating and even the fastest tennis player is not immune. The vital elements for a great drop shot are backspin, shortness, and softness, as your objective is to have the tennis ball bounce twice before your adversary can get to it. The shortness and softness of the second bounce that counts most, as getting a short first bounce is a great start, but you still require low ball speed and a good backspin to get the second bounce to travel the shortest distance as possible. And an excellent one is actually that bounce back toward the net, which makes the second bounce much shorter than the first. When your opponent hit the ball towards your forehand side, turn your body sideways synchronously rotating your racket into a continental grip and begin your swing. Begin the swing approximately two feet farther back and a foot higher than your planned point of contact. Utilize a short, gentle brush motion, angling from the top downward in a diagonal direction. The amount of tilt in the racket face must be properly adjusted for your swing speed and direction, which is roughly between 30 and 50 degrees tilt back. Create the downward swing predominantly from your larger muscles, turning from the shoulder and elbow greater than the wrist and don’t forget to bend your knees as you hit the ball to properly emphasize the downward direction. 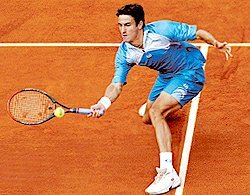 To properly create this shot, once your opponent hit the ball towards your backhand side, turn your body again sideways. As the ball approaches, step forward and release your arm from the racket and start your swing from top going downward in a slanting direction towards your adversary. As you hit the ball, your racket face should be facing your opponent and the sky. Make a gentle slanted slicing motion during ball impact and finish it with an open-faced racket. It is very essential to remember not to over grip the racket, hold it with a controlled soft hand motion and don’t loose focus on the ball while making this move. Using this secret weapon is essentially invaluable and effective against a player who is a steady baseliner that actually seldom misses a groundstroke from the backcourt. A lot of these players have a constant footwork which is laterally, which is why their forward run is inefficient and weak. By bringing these players near the net, their percentage of error increases dramatically, ensuring an easy win for you. In addition, you can employ this kind of tennis shot to properly wear an opponent down. 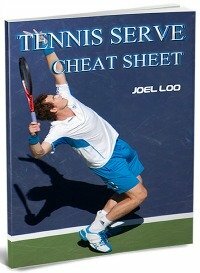 With an excellent combination of lob and drop shot, you can definitely drive your opponent insane and frustrated to the brink of quitting the match, which is why it is considered such an amazing and effective tennis tool or weapon. 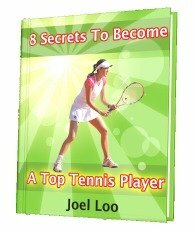 From "Tennis Drop Shot: A Secret Weapon To Surprise Your Opponent" To "How To Play Tennis Efficiently And Become A Better Player"